Featuring works drawn primarily from the Arts Council Collection, ‘Revolt and Revolutions’ offers an insight into some of the counter-culture and anti-establishment movements of recent decades. There’s numerous high profile names involved, including Susan Philipsz, Ruth Ewan, Mark Edwards, and Peter Kennard, all linked by their exploration of how to change on an individual, community and global level. Following on from last year’s Unite Against Dividers weekend, Keep It Complex is holding a ‘reactivation day’ to bring together artists and activists wanting to engage more deeply following the EU Referendum vote in 2016. Many contributors who participated last year will be returning to share how their campaigns have developed. This is a chance to take stock, evaluate strategies and form new collaborations. The collaborative exhibition that matches up international art spaces with London venues returns with 27 exhibitions across 17 galleries. Highlights include east London gallery Maureen Paley hosting Brussels’ Dependance and Mexico City’s JoseGarcia, MX, while south of the river The Sunday Painter and Arcadia Missa collaboratively host two Warsaw-based spaces, Dawid Radziszewski and Stereo. This is the thirtieth anniversary of London Art Fair and alongside presentations by leading British and international galleries and curated spaces Art Projects and Photo50, this year’s Museum Partner Art UK will present Art of the Nation – Five Artists Choose. As an online platform, this will be first ever collection of work brought together for display by the organisation and sees artists Sonia Boyce, Mat Collishaw, Haroon Mirza, Oscar Murillo and Rose Wylie each select works from both the twentieth and twenty-first centuries, based around a theme personal to each of them. Kicking off the Zabludowicz Collection’s tenth annual Testing Ground for Art and Education season, this group show features film and video works from the Collection, curated by MA Culture, Criticism and Curation and MA Performance Design and Practice students from Central Saint Martin’s. For one weekend, art production company Artichoke fill the streets of central London, from Kings Cross to Waterloo, with over 50 light-based artworks. Highlights include a new neon text-based work by Tracey Emin at St James’ Church, Piccadilly, Tony Heaton’s Raspberry Ripple projected onto the Southbank Centre, and Daan Roosegaarde’s Waterlicht will transform Granary Square into an underwater landscape, suggesting what it may eventually look like should sea levels continue to rise. Known for his abstract paintings and wall relief sculptures, Craig Kauffman was primarily linked with Minimalism. This show presents six of his works from 1966—1971 alongside work by Donald Judd and Robert Morris. The three person show will explore how the personal and working relationships between these artists informed their practices. It is also the first time that the three artists have been exhibited together in Europe. This bumper show includes over 50 international artists with works ranging from the 1500s to the present day. It explores the contradictory nature of society’s relationship to the rural, telling the story of humanity’s evolving connection to the land, our perception of, and reliance upon it. Artists include: Paul McCarthy, Beatrix Potter, Carsten Höller, Laure Prouvost, William Holman Hunt, Samuel Palmer, Frank Lloyd Wright, Marcus Coates, Fernando García-Dory, Mark Dion, Roni Horn, Aaron Angell and Mark Wallinger. Brooklyn based artist Tara Donovan creates large-scale installations and sculptures made from everyday objects. Her new series of wall-mounted framed works in various sizes explore ‘stratification as both a sculptural technique and a means to construct a two-dimensional picture plane’. A day of learning and networking from Live Art Local, which has invited experts in fundraising and networking to share their experiences, strategies and tips. 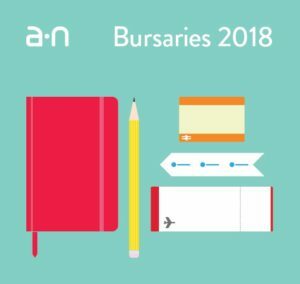 The 14 guest speakers range from arts organisers, to fundraising consultants and arts practitioners, including Gordon Dalton and Oliver Sumner from the CVAN Network, Crowdfunding specialist Chris Buckingham, and artist Joseph Young from a-n’s AIR Council. Hayward Gallery, London, reopens with a retrospective of German photographer Andreas Gursky following a two-year refurbishment. The retrospective will span the German photographer’s entire career, from his iconic works of the 1980s through to five new works created for the occasion. The show also marks the beginning of Hayward Gallery’s fiftieth anniversary year. Brighton based photographer Ivan Jones’ new series of works are portraits of leading European female architects. Each has been photographed at the heart of a key building they have been pivotal in creating, including Hana Loftus of HAT Projects who designed the Jerwood Gallery where this exhibition is being shown. A day of talks for artists, photographers and makers on strategies for making a day job complement, and even inspire, your art practice. Speakers include: Julie McCalden, artist and Project Manager for a-n’s Paying Artists campaign, who will discuss the Exhibition Payment Guide; jeweller Amy Wilkinson, whose job as an armature maker has seen her work on puppets for The Corpse Bride and Fantastic Mr Fox; and artist Sam Curtis who founded the Centre for Innovative and Radical Fishmongery following two years working as a fishmonger. This event is a collaboration between Castlefield Gallery, Manchester Craft and Design Centre and Redeye, the Photography Network. Cambridge gallery Kettle’s Yard reopens following extensive refurbishment with this group show featuring 38 artists, including nine new commissions by artists such as Rana Bergum, Cornelia Parker, Jeremy Deller, and Idris Khan. 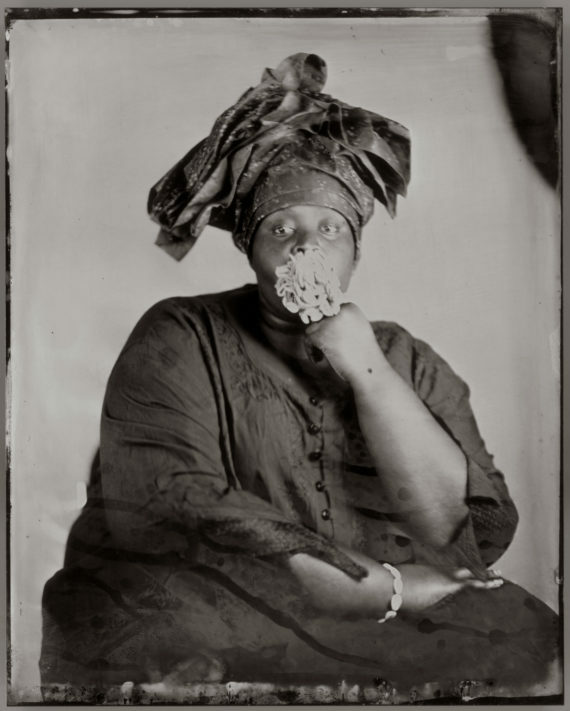 Of particular interest will be four of Khadija Saye’s photographs, previously exhibited at Venice Biennale. Spread over three sites in Birmingham, Coventry and Stoke-on-Trent, this annual showcase of recent graduates from the region’s six art schools will feature the work of 28 artists working in a range of media, from painting and photography to installation and digital media. 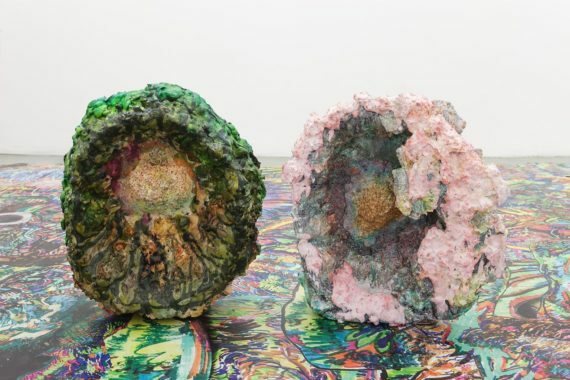 Spannning the last 20 years of Turner Prize nominee and Royal Academician Alison Wilding’s career, this show will comprise of three major sculptures, including one from her 1998 series of 16 scenes from The Passion of Christ. Wilding will also present a recent work, Reversing, a handprinted wallpaper that reworks William Morris’ Acanthus motif asymmetrically, fixing it visually and physically to the wall with a sharp-edged brass sculpture. 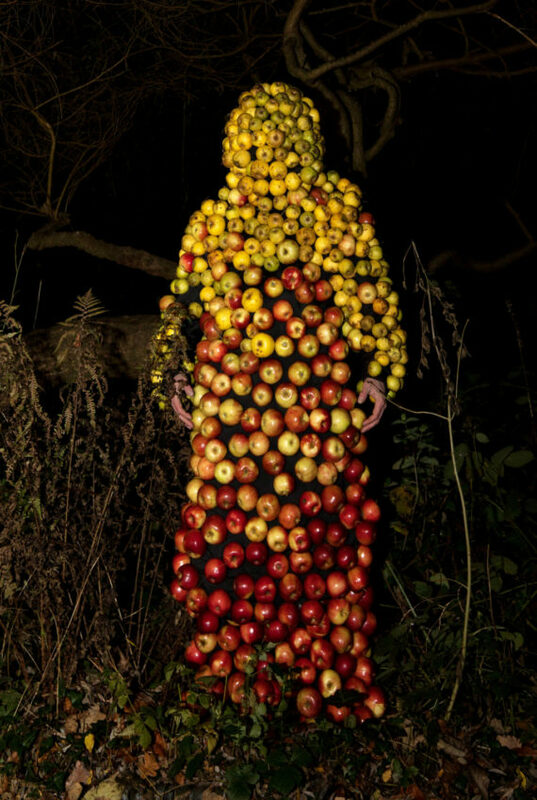 Serena Korda works across performance, sound and sculpture exploring aspects of communion and tradition in our lives. This exhibition is the culmination of a two-year residency as the Norma Lipman and BALTIC Fellow in Ceramic Sculpture at Newcastle University. The ‘artist-led’ fair that enables emerging artists to showcase their work to gallerists, curators, critics and collectors returns. The latest edition will showcase work by over 130 artists, handpicked by a committee of art industry experts. Installation and performance artist Chiharu Shiota’s new work is a site-specific installation of woollen thread within the 18th-century Chapel at Yorkshire Sculpture Park. A sweeping web of white thread will emerge from a steel structure ‘referencing a musical instrument no longer there’. Woven from 2,000 balls of wool, Shiota’s use of white will mark a recent departure from the familiar red and black thread for which she has become known. Isaac Julien’s film Ten Thousand Waves was jointly purchased by the Towner Gallery in Eastbourne and the Whitworth in Manchester using funds aimed at getting more video work into British public collections. 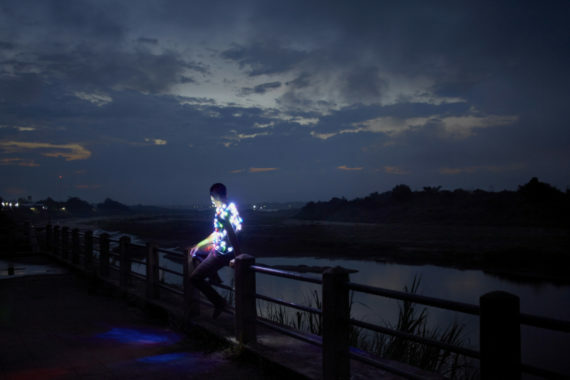 Exploring the deaths of 23 Chinese cockle pickers in Morecambe Bay in 2004, the three-screen immersive film installation reflects on the continuous movement of people across the globe in response to changing economic conditions. 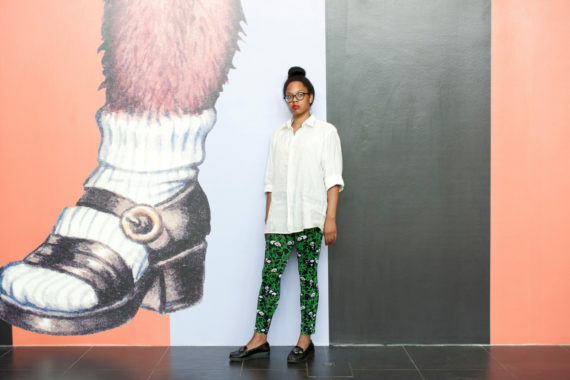 Returning for its eighth edition, Glasgow International will showcase over 45 group shows and 35 solo exhibitions by Glasgow-based, UK, and international artists including work by Lubaina Himid, Mark Leckey, Urs Fischer, Ross Birrell and Tai Shani. It will also be the first under the new direction of Richard Parry, who joins the festival after serving as curator-director of the Grundy Art Gallery in Blackpool. A 12-week programme of exhibitions and events taking place across Limerick City. The 38th edition will be curated by Hong Kong-based Inti Guerrero, who is currently curator of Latin American art at Tate, London. He was previously associate artistic director and curator at TEOR/éTica, an independent not-for-profit art space in San José, Costa Rica. This international fair for artist-run galleries and other artists’ initiatives is organised by a small group, most of whom are artists themselves. Since 2007 it has featured representatives from over 50 countries, with the resulting event a direct reaction to developments in the commercial art fair market. This year’s fair takes place in a new venue, Slaughterhouse 5, in the meatpacking district of Slakthusområdet near Ericsson Globe. 12 – 15 April, Slaughterhouse 5, Fållan 10, Slakthusområdet (Metro Globen), Stockholm , Sweden. The ninth edition of the SAR International Conference on Artistic Research is organised by Geoff Cox, Azadeh Fatehrad, Allister Gall, Laura Hopes, Anya Lewin and Andrew Prior in partnership with Society for Artistic Research. The theme of the event is ‘Artistic research will eat itself’, which the programme notes describe as ‘understood as a warning against the dangers of methodological introspection’. This bumper show features over 70 paintings by the ‘Father of Impressionism’ Claude Monet. Charting his career from its beginnings in the mid-1860s to the public display of his Venice paintings in 1912, the focus is on his exploration of architecture. This show features Scottish artist Ross Birrell’s 2017 Documenta projects, The Athens-Kassel Ride and Criollo. 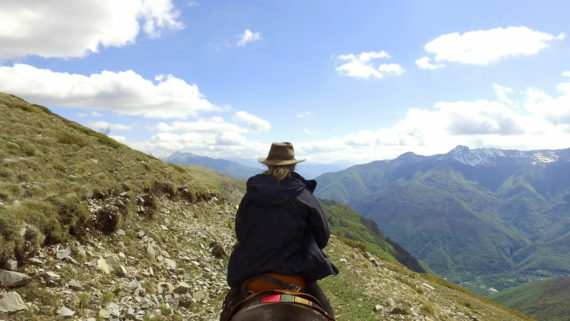 The former saw the artist explore the possibility of riding by horse from Athens to Kassel, connecting the two cities of documenta 14. Also on show is a selection of his sculptural installations and other works. 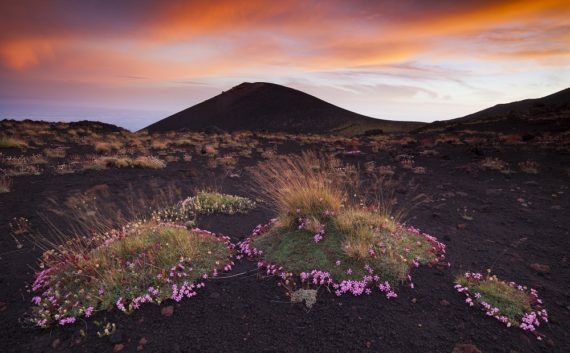 This exhibition is a display of the winning images from the International Garden Photographer of the Year competition, which is celebrating its 10th anniversary. It features botanical photography from across the world, split into various categories including: The Beauty of Plants, Wildflower Landscapes, Beautiful Gardens and Breathing Spaces. Edinburgh’s Collective will move into its new home, the redeveloped City Observatory and City Dome on Calton Hill, following a £4m restoration project. The gallery will include exhibition and workshop spaces and purpose-built restaurant, creating ‘a new kind of City Observatory for Edinburgh, bringing people together to look at, think about, and produce contemporary art’. This exhibition explores the relationship between the birth of abstract art and the invention of photography. Charting how the two developed, from the 1910s through to the present day, it includes vintage prints from pioneers like Paul Strand, László Moholy-Nagy and Man Ray. These are shown alongside abstract paintings, sculptures and installations by artists including Georges Braque, Jackson Pollock, Carl Andre and Bridget Riley. Held at the Royal Academy of Arts, the London Original Print Fair is London’s longest running art fair. Now in its 33rd year, it features original prints from across five centuries: from old and modern master works to the latest prints launched by contemporary artists. Opening over the course of the May bank holiday CAST (the Cornubian Arts and Science Trust) bring a programme of contemporary art to numerous sites and partner venues in West Cornwall. Exhibitions, performances and installations from nine international artists including Francis Alys, Steve McQueen and Manon de Boer will take place in intriguing and fantastic locations ranging from the open air amphitheatre of Gwennap Pit, near Redruth, the radio communications site of Goonhilly Earth Station on the Lizard peninsula and the National Trust’s Godolphin House, near Helston. 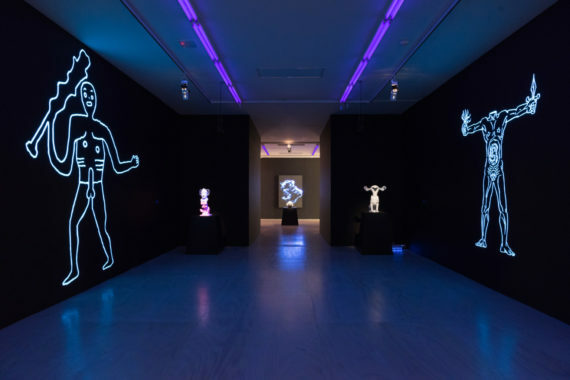 Before his untimely passing on 18 November 2017, the Design Museum had been working with Azzedine Alaïa on an exhibition that explores his career and creative process. The resulting show highlights his mastery of cut, fit, tailoring, and materials. The Southampton-based gallery is set to reopen 12 May 2018 in a purpose-built home as part of the new Studio 144 arts complex. While the opening show will feature an ARTIST ROOMS presentation of the works of Gerhard Richter, in February the gallery will also mark the official opening of Studio 144 with a dynamic week long programme as part of ‘Southampton Celebrates’. Since its inception in 1996 when it was founded by Klaus Biesenbach (founding director of KW Institute for Contemporary Art), Berlin Biennale has developed the aim of giving young artists the opportunity to introduce themselves to broad sections of the public. Returning for its 10th edition, the event takes place at various venues across the city. It will be curated by Gabi Ngcobo, who will be collaborating with Moses Serubiri, Nomaduma Rosa Masilela, Thiago de Paula Souza and Yvette Mutumba. Extensive programme of film and sound art, performance events, screenings, talks, seminars and workshops that make use of unusual spaces throughout Whitstable on the Kent coast. Also on show is a ‘Satellite’ programme of non-selected, non-curated work. The nomadic European biennial of contemporary art arrives in Palermo, on the Italian island of Sicily. Now in its 12th edition, the event will be curated by Bregtje van der Haak, Andrés Jaque, Ippolito Pestellini Laparelli and Mirjam Varadinis, who have announced its theme as ‘The Planetary Garden: Cultivating Experience’. 11 June – 18 September, various venues, Zurich, Switzerland. For the Royal Academy’s 250th year, Grayson Perry RA takes the helm to coordinate the world’s longest running and largest open-submission show. As always, it will include art in all mediums, including a mixture of emerging artists and household names. An 80 day exhibition with opening events situated at NewcastleGateshead’s Quayside. Exploring great northern art, design and innovation the exhibition includes commissions such as an 80m long water fountain in the River Tyne that will reach the height of the Tyne Bridge, accompanied by three new music compositions, and three walking trails focussing on arts and culture, design and innovation from across Northern England. Taking the line ‘The greater the distance the clearer the view’ from WG Sebald’s ‘The Rings of Saturn’, curator Dr Caroline Fisher invites artists to make new work that considers ideas around journeys and endpoints to be installed throughout the shops, civic spaces and beaches of the picturesque village of Cley next the Sea. If you make your way to this part of the Norfolk Coast, be sure to spend a day at nearby Holkham National Nature Reserve and Holkham beach. 36 artists including Taus Makhacheva, Francis Alys and Holly Hendry reflect on current states of social, political and economic turmoil for ‘Beautiful world, where are you?’ Celebrating 20 years, the 10th edition of this international biennial takes place over 15 weeks across Liverpool. 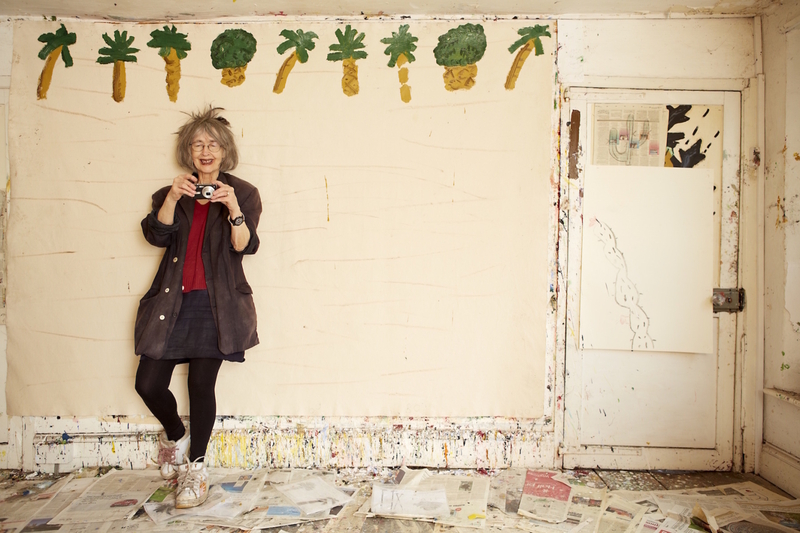 Since its inauguration in 1957, the well regarded biennial painting prize has amassed an impressive alumni of prizewinners including Jack Smith, Roger Hilton and David Hockney, joined in recent years by Michael Simpson, Rose Wylie and Sarah Pickstone. For each edition of the prize, the exhibition is a chance to see work by the full shortlist of emerging and established UK-based painters. Returning for its 14th year with its programme of predominantly publicly-sited contemporary art commissions, Edinburgh Art Festival ensures the visual arts’ presence during the city’s busiest and most populated month. The wide-ranging programme includes partnership exhibitions with Edinburgh’s major museums and art galleries as well as pop-up events at a range of venues and public spaces. Lewis Biggs curates the 5th edition of Land Art Mongolia, an intensive communal exchange, that through an open call invites emerging and mid-career artists to propose site-responsive work in the Mongolian steppe. With the title ‘WHO ARE WE NOW?’, this year’s theme explores the legacy of humanism in the age of the Anthropocene. a-n’s Pippa Koszerek curates the third Monat Kunst Halberstadt (Halberstadt Art Month) of contemporary art taking place in intriguing public spaces and empty shops throughout Halberstadt, a town in the Saxon-Anhalt region of former East Germany. Taking the theme of Klimawechsel – Climates of Change as a starting point, the biennale presents new and existing works by artists who seek to create change through their art and activism. Housed in the Grade II listed Laurie Grove Baths, Goldsmiths Centre for Contemporary Art will open under the direction of former Glasgow International director Sarah McCrory. As part of the redevelopment project within the Victorian-era bathhouse, architecture collective Assemble has been commissioned to design the new gallery which will feature eight exhibition spaces, a cafe and education facilities making use of the diverse range of spaces within the bathhouse, including the preservation of the cast iron water tanks. Celebrating Hastings and St Leonards’ burgeoning arts community, Coastal Currents returns with bespoke contemporary art commissions and two weekends of open studios, featuring hundreds of artist-makers based throughout the adjoining towns as well as in nearby Bexhill-on-Sea, Battle and Rye. Attempting to move beyond geopolitical boundaries and points of view, the 12th Gwanju Biennale will be programmed by a team of 11 curators, acting collectively. Taking ‘Imagined Borders’ as keyword, the curatorial premise considers those new and intangible borders that are no longer based on geographic boundaries – hidden spaces that have come about due to accelerated globalisation, technological advancements and global capitalism. Rethinking the curatorial model for the 33rd edition of the renowned Brazilian biennale, Gabriel Pérez-Barreiro has invited seven artists to each curate a distinct exhibition that places their own work in dialogue with that of other artists. 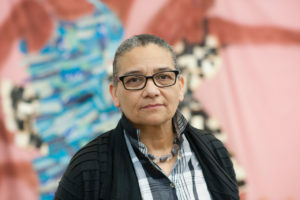 Claudia Fontes will work with peers who consider the connection between art and narrative, Mamma Andersson looks at figuration within the painting tradition, while Wura-Natasha Ogunji will bring together artists exploring identity and African diaspora. Continuing its exploration of the Isle of Portland, b-side festival will commission a series of new, temporary, site-specific works that consider and respond to the Island and its geological, ecological, archeological, heritage and geographic contexts. 6a architects’ redesign of this historic building will transform it into a contemporary gallery and education space, while respecting the original room plans of what is London’s earliest example of a purpose-built fire station. Standing across the road from South London Gallery’s main building, it will open to the public with a programme of exhibitions and education activities. 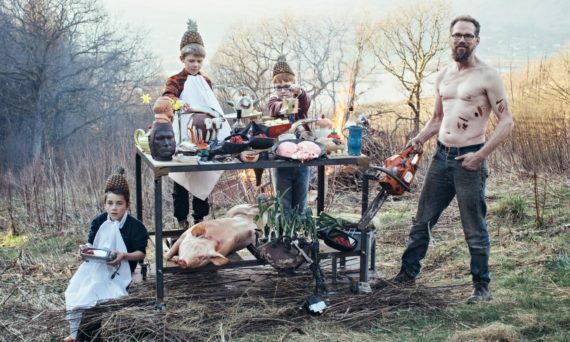 The 14th edition of this festival on the Northumberland coast promises to provide a further chance to encounter experimental and cutting edge film and new media work exhibited throughout the picturesque town of Berwick. Returning to Tate Britain after being hosted in Hull during the 2017 year of culture, the jury for the 2018 edition of the Turner Prize is Oliver Basciano (ArtReview), Elena Filipovic (Kunsthalle Basel), Lisa LeFeuvre (Henry Moore Institute) and the novelist Tom McCarthy. Billing itself as the ‘contemporary art event of the year’, Frieze London and Frieze Masters features around 1000 international artists and 160 galleries. As ever, the main exhibition will be complemented by a popular programme of talks, events and special commissions. The Cardiff-based international art prize returns with five artists in the running for the £40,000 award, the largest art prize in the UK. The shortlisted artists are: Anna Boghiguian (Canada/Egypt), Bouchra Khalili (Morocco/France), Otobong Nkanga (Nigeria), Trevor Paglen (USA) and Apichatpong Weerasethakul (Thailand). The 2018 edition of gallery education advocacy and support organisation’s annual conference. This exhibition offers an overview of the work of one of the best-known textile artists of the 20th century, Anni Albers. The show highlights how she explored the technical limits of hand-weaving to pioneer innovative uses of woven fabric as art, architecture and design. It includes a variety of small-scale creations and wall hangings, plus some of the textiles she designed for mass-production. Italian Renaissance artist Lorenzo Lotto is known for his portraits of middle-class sitters, among them clerics, merchants, and humanists. Many of his works feature objects which hint at the social status, interests, and aspirations of his subjects. Also on show are a number of documents that have survived from Lotto’s own books. Bridging past and present, Kochi’s artist-initiated biennale references the contemporary context of the former trading-port city and it’s mythical and archeological past – built, as it is on the archaeological remains of the ancient city of Muziris, which was destroyed in the 14th century. Artist Anita Dube curates the fourth edition.